Kids College we provide the very best quality in all areas of childcare and teaching. We are all cognizant that this expands into all facets of what we do. 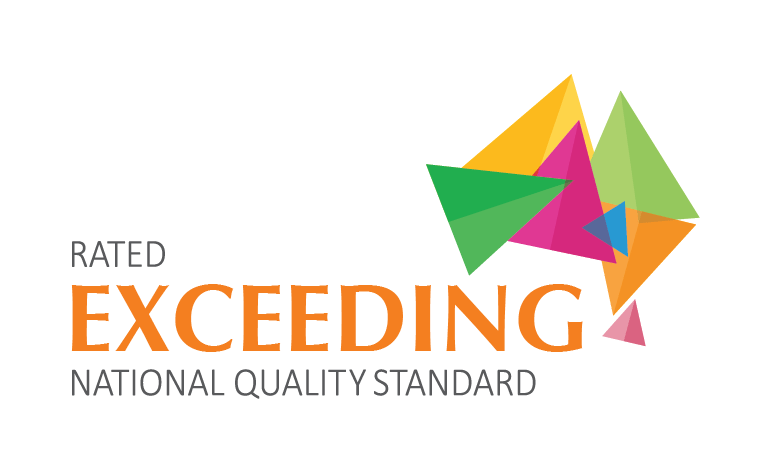 Not just our education and care are exceptional but our menu is too. Each body is only as strong as the fuel that powers it. A massive factor in our every day lives is providing great quality food to fuel those fires for learning. Kids College promotes healthy food and drink choices to children, while also encouraging children to eat to their own appetites, develop positive attitudes toward selecting food, and enjoy eating. We are proud to provide freshly cooked meals every day by our two qualified childcare chefs. Our menus are based on nutritional content and are balanced carefully to ensure our children get the very best food. We serve morning tea, lunch and afternoon tea with a six -rotation of menu’s so our children enjoy a good variety of tasty healthy food. Not just a lot of joy goes into our menu’s but science too and we were very proud when our Kids College menu’s nutritional value was analysed by a group of last year Dietetics students at 98% perfect. We take into account the mixed bag of needs of our diverse children. Children and families are represented in our multicultural menus, as we enjoy a wide range of wonderful variety from all over the world. We are an allergy aware centre who provides for the needs of children with anaphylaxis, asthma, allergies, religious beliefs and lifestyles. Every member of our staff team is trained in all these important issues. We are encouraging a wide range of nutritious foods. Do you remember from past days the food pyramid? Healthy eating has been modernized now and we have a fantastic resource for teaching our staffing team, our families and the children themselves is ‘The Kids Healthy eating plate’. 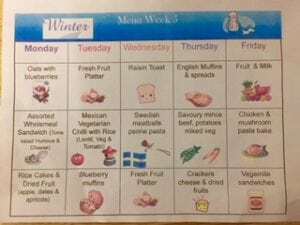 We were reflecting on our nutrition and found this family and children friendly idea that is modern, up to date and easily understood particularly in the classroom with the children. The Kid’s Healthy Eating Plate is a visual guide to help educate and encourage children to eat well and keep moving. At a glance, the graphic features examples of best-choice foods to inspire the selection of healthy meals and snacks, and it emphasizes physical activity as part of the equation for staying healthy. Eating a variety of foods keeps our meals interesting and flavourful. It’s also the key to a healthy and balanced diet because each food has a unique mix of nutrients—both macronutrients (carbohydrate, protein, and fat) and micronutrients (vitamins and minerals). The Kid’s Healthy Eating Plate was created by nutrition experts at the Harvard T.H. Chan School of Public Health, based on the best available science, to enhance visual guidance. 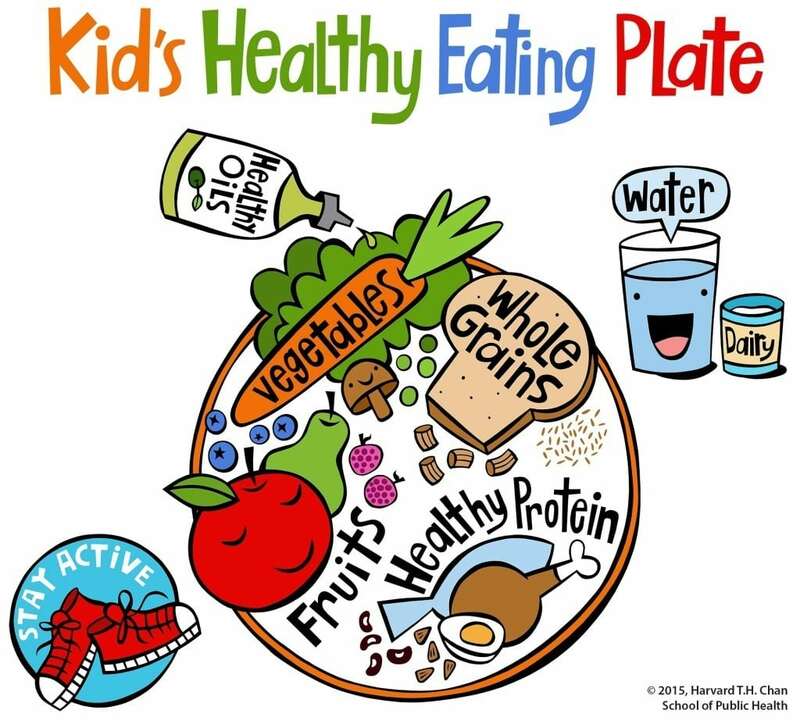 The Kid’s Plate reflects the same important messages as the healthy eating plate with a primary focus on diet quality, but is designed to further facilitate the teaching of healthy eating behaviors to children. The Healthy Eating Plate as a guide for creating healthy, balanced meals—whether served on a plate or packed in a lunch box. Put a copy on the refrigerator as a daily reminder to create healthy, balanced meals! 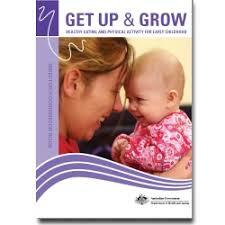 An estimated 28% of children and adolescents in Australia are overweight or obese. Also, being overweight and remaining so increases the chance of developing a range of medical conditions. For example, the rate of type 2 diabetes is continuing to rise in children and adolescents. Other problems occurring at a higher rate in overweight children include sleep apnoea, heat intolerance, breathlessness on exertion, tiredness and flat feet. Being overweight can also make a child more vulnerable to decreased self-esteem and eating unhealthily to attempt to control weight. Do you wish for a sure fire way of avoiding the consequences of childhood obesity? You do! Good nutrition, menu planning and enjoying a healthy active lifestyle are all the tools you need. With such a huge importance on nutrition we would like to introduce you to Hayley the founder of ‘Nutritious kids’ who believes in providing children with the best nutrition possible to support their growth, development and health. Nutritious Kids hopes to inspire and support families to make good food choices in a healthy, positive way. 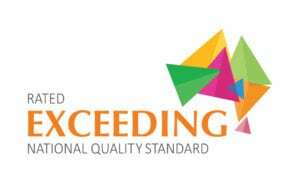 QA 2.1.3 Healthy eating and physical activity are promoted and appropriate for each child.